A case has been filed against actress and Congress spokesperson Khushbu in the Madurai district court, alleging that she spoke ill of transgender community. The case, which was filed by a transgender Bharathi Kannamma, was today taken up for hearing by Justice Sabeena. The judge later posted it for April 25. 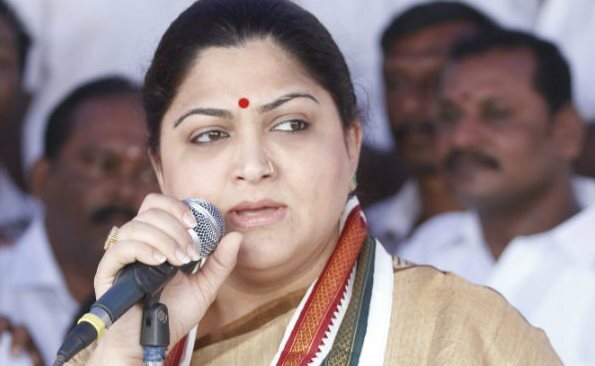 Recently, members of transgender community staged a protest in front of Congress State headquarters Sathyamurthy Bhavan in Chennai, against Khushbu and her remarks, it may be recalled. Alleging that the actress-turned-politician spoke ill of them, they raised slogans against her and demanded an unconditional apology.